Bed bugs, your worst nightmare terrorizing you without an end in sight. Everyone knows that bed bugs are very hard to kill, which usually means they could end up costing you big bucks for a solution. But, does pouring some on bed bugs really kill them? 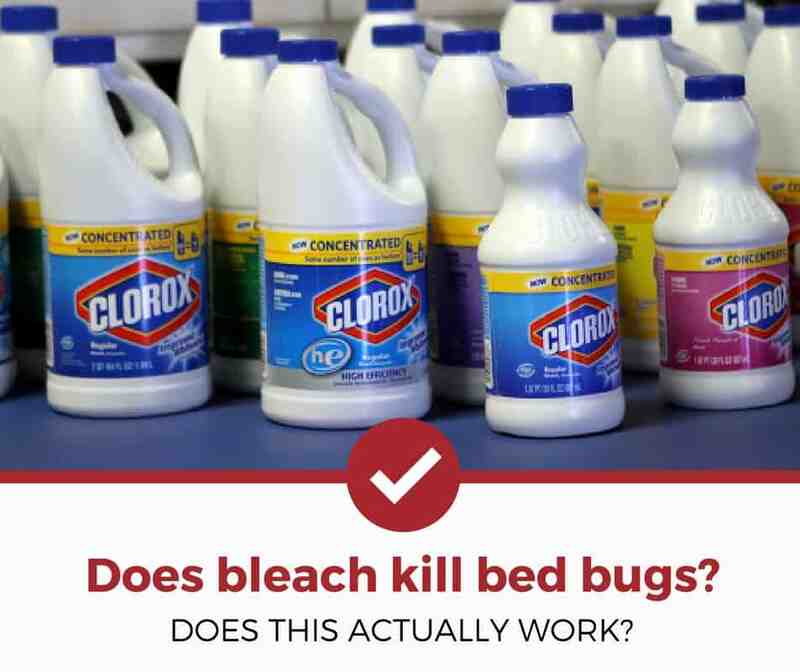 And how would you even go about using bleach to kill bed bugs? What is in Clorox Bleach? Is there any evidence for bleach? Sodium Hypochlorite: This is the "active ingredient" in bleach and helps with removing stains, kills germs, and whiten your clothes. Sodium Chloride: Table salt and commonly used in detergents, hand dish soaps, liquid laundry soaps, and other soap type products s a stabilizer. Bed bugs are extremely stubborn bugs hiding in just about any crack or crevice near their food source. They'll lay their eggs, which are resistant to many bed bugs products on the market. But, how does this relate to bleach? To put it simply, bleach can technically kill bed bugs by oxidizing their outershell /body through the sodium hypochlorite, but you would need to spray it directly on the bug and risk damaging your property or inhaling poisonous fumes. The risk far outweighs the benefit and we would highly recommend avoiding the use of bleach or any other kind of "natural" alternative (like boric acid or Lysol) to kill bed bugs. If bleach can't kill bed bugs what does? Surprisingly, most successful bed bug elimination plans don't include bleach, but heat! Heat is one of the best ways to kill bed bugs and their eggs. To kill bed bug in an entire house, exterminators have been known to use costly heat treatments that increase the home temperature high enough to kill all the bugs. Read Also: What's the best bed bug heater? Unless the product you are using contains some form of pesticide or natural repellent, it will be ineffective against head lice. Because Coca Cola lacks these ingredients, it cannot be used as an effective killer. The nits also still need to be removed by hand, otherwise the infestation will return. As mentioned above, technically yes, you CAN kill bed bugs with bleach. A 2008 study conducted in Ann Arbor Michigan tested a protein Hsp33 that reacted when in the presence of bleach. Essentially, when bleach comes into contact with Hsp33 it stops working and causes bacteria to die. This similar process would affect bed bugs (and any other bug) resulting in their death. But even though you CAN kill bed bugs with bleach, you should avoid doing so in favor of more effective methods (such as heat). Read Also: What are the best bed bug traps and interceptors? If you have a bunch of clothes and you think they might have bed bugs, you could use bleach in combination with the high heat setting to kill any hiding bugs. When it comes to removing them from around your home, please do not spray bleach in hopes of removing bed bugs because it will end up doing more harm then good. Want to learn more about how to free yourself from the curse of bed bugs? Check out these other helpful guides.